Taser training. We can train you to carry a Taser. CEW training is offered by us. Carry your Taser legally by being trained by our company. we can only Certify our own employees to carry a Taser. The Taser program for Security has been discontinued. Meaning Taser will not let us train anyone who does not work for us. The program may come back? So we are leaving the information on the site to help people understand the process later on if it starts back up again. For South Carolina Officers: To carry OC Pepper Spray you must have had the SLED “Primary Basic” and “Primary Plus” classes. For all students living and working in another state: You must be a licensed / certified security guard. We can train any security officer or company in any state that allows you to carry a CEW (Conductive Electronic Weapon) or as people know them as…TASER. This means we can legally teach you to carry a Taser and use a Taser. We are licensed to train any security officer or company in any state. 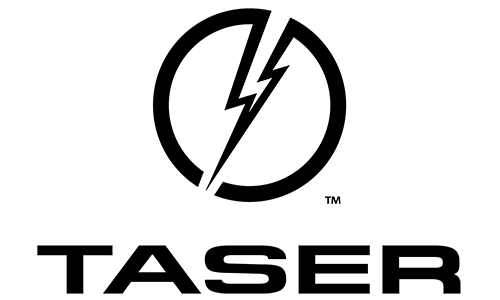 So, if you want your officers and your company to be legal and compliant…..we are your choice for the CEW Taser training. To get Certified to carry a CEW (Taser), you WILL NOT have to get Tased. Taser does not require students to get Tased to get Certified. If you want to get Tased for the experience? We will do it and video it for your website or training material. The class size varies. Our class time is 8 hours. It usually runs on schedule. There is a test involved that is required to get your certificate to carry a CEW (Taser) on your person.. If you are getting Tased for the experience, there is a student release waiver that each student will have to sign. It basically tells us you understand what is about to happen and it asks some medical questions as well. What to bring? A note book, pen / pencil. We supply the “Taser” for the training part. Dress casual or in uniform. NO FIREARMS PERMITTED IN CLASS. You can bring the Taser you want to qualify with. Group pricing: Yes, we can offer a price break if we get a commitment on the amount of students who will be attending. Do you want a CEW (Taser)? If you tell us ahead of time, we can have them available at our class for purchase. Payments: We do accept VISA, MC, CASH or Personal Check with valid ID. Price 2: If you do not have a Taser. Your fee will be $240.00. 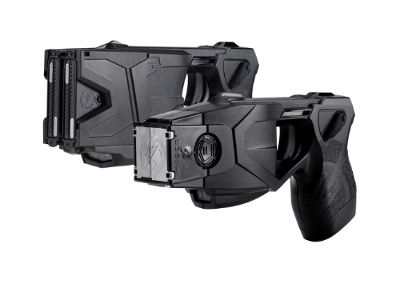 Price increase includes using our Taser to get certified and the 2 “live” cartridges that will be fired on target. Note: You will have to Certify with the Taser you will carry. We have the M26 / X26P and the X2 for qualifying with our Taser. If you bring your own, we can train you on that one. If you do not have one, you will have to qualify in 1 or all of the ones we provide. You will have to deploy 2 “live” hits on target with some situational maneuvers.